New Mobile Website Features. 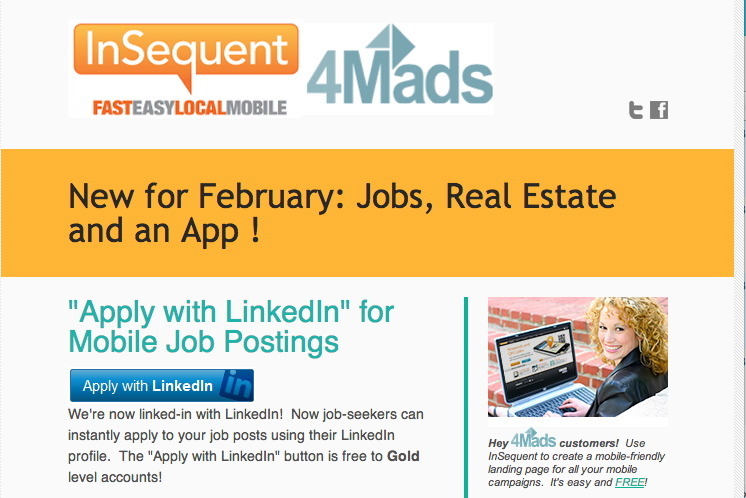 Plus, the new InSequent SMB App is on its way! Apple 22% in Q4. Android has really taken control now. As the WSJ reported this weekend, Samsung is doing what no one thought possible, “out-cooling” Apple and it is showing in the results. With its traditional bricks and mortar business model in tatters, retailers are pinning their hopes on the explosion of smartphones and tablet computers to drive sales. Annual global spending by retailers on mobile marketing is expected to hit $55 billion by 2015, almost double the $28 billion forecast to be spent this year, according to a new Juniper Research report. 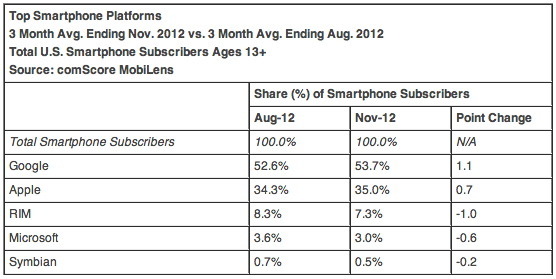 Google with 54%, Apple 35%, Others (RIM, MS and Symbian) 10% and still falling. Consumers prefer the mobile Web to apps, despite retailer investment. Consumer awareness of and/or interest in retail apps is low: Only a tiny share of any given retailer’s shoppers appears to download their app. Most shoppers who access a retailer’s mobile presence get there by clicking on links from mobile search engines or from mobile emails.